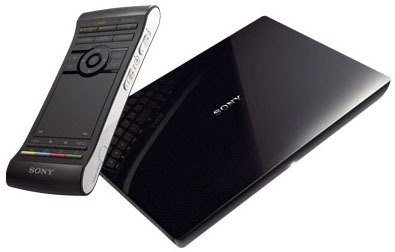 Sony launched the NSZ-GS7 Internet Player with Google TV. For obvious reasons the player doesn't come pre-installed with OnLive, but only with the usual apps like Netflix, Pandora, Twitter and Google Chrome for web browsing. But when OnLive will release the full OnLive cloud gaming app for Google TV, you will be able to use it on the Sony NSZ-GS7. The release of the full OnLive app for Google TV could be pretty soon, as Google I/O starts today and OnLive may be releasing or announcing the full OnLive app for Google TV there. For obvious reasons Sony has hid the fact well that OnLive works on their NSZ-GS7 Internet Player. But when you go to the product page of the Sony NSZ-GS7 and look under specifications and then under optional accessories, you can find this written, "OnLive Gaming Controller/USB dongle : Yes". This means that the Sony NSZ-GS7 supports the Universal OnLive Wireless Controller and therefore also the OnLive app. The price of the Sony NSZ-GS7 is not really cheap at $199.99 and it's now available for pre-order. 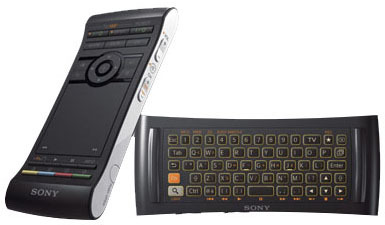 The Sony NSZ-GS7 comes with a large remote optimized for various web apps. With a large touchpad on one side and a full keyboard on the other, it's optimized for ease of use. The clickable touchpad works just like the one on your laptop, with one-handed operation plus pinch-and-pull for zoom control. Flip it over and you'll find a backlit QWERTY keyboard. There's also a 3-Axis motion sensor for gaming. The Sony NSZ-GS7 Internet Player with Google TV can be connected to your existing cable or satellite service so there's no need to mess around with switching inputs when you want to use it. Of course you can connect it directly to your TV via HDMI.